ATLANTA, March 15, 2017 – Gone are the days of 12-foot repeats, limited colors and flat lifeless layers – Brintons, a leading designer and manufacturer of woven Axminster carpet, is challenging what has been considered the standard in commercial and hospitality carpet design with a new collection,Terra-Grit. The in-house designed collection of 9 custom Axminster patterns utilizes Brintons’ High Definition Weave technology, an industry-leading 32-color capability, to achieve unmatched depth and texture. 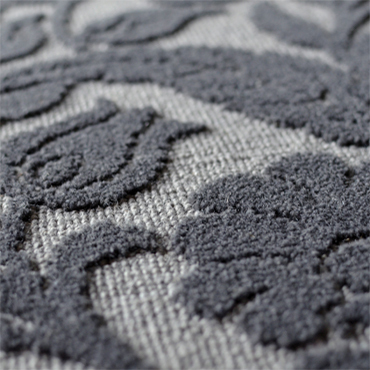 Each Terra-Grit pattern is massive, with the largest reaching a 48-foot repeat. Ideal for hospitality,Terra-Grit’s huge patterns can fill large public areas like grand ballrooms and convention spaces.The designs can also have sections cut out for smaller, pre-function areas, offering a different, yet cohesive feel for the guest. Each complex design can be broken down to carpet an entire hotel with each area being completely unique. 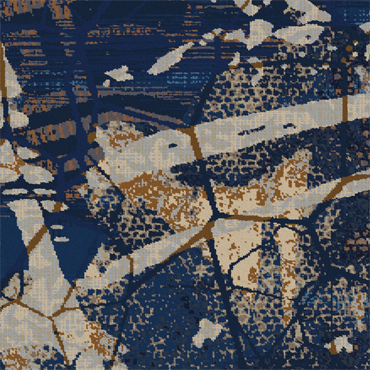 As Brintons is the only Axminster manufacturer that can weave up to 32 colors,Terra-Grit’s color combinations are unexpected, seemingly pushing aside the safe color families that have become commonplace, yet still work together to create layers of dimension. Rather than simply using black to achieve depth, the Brintons team has explored each color value, combining colors from different families.A comparable process to how a painter would render shadows with Ultramarine Blue mixed with Burnt Sienna. The overall theme of the collection is rooted in the need for authenticity in design: utilizing real hand-made textures and the brushstrokes of an artist’s hand, celebrating a design’s humble beginnings. Brintons’ Global Design Team routinely practices this “Dirty Hands” trend movement with creative experiential workshops. 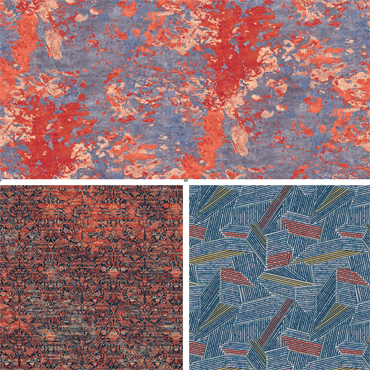 The team uses an assortment of random materials and basic artists’ pigments to create unusual and original textures for Brintons’ carpet designs. 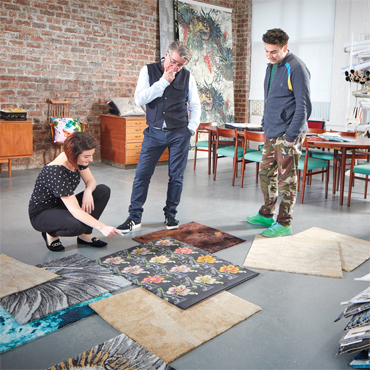 Before creating the collection, the team was challenged to push the industry, pattern constraints, and the conceptual identity of carpet design. 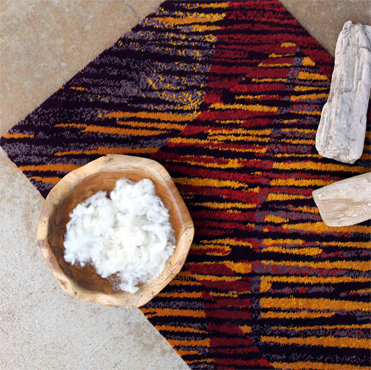 Everything that is Terra-Grit – color use, scale and construction – contests the industry standard for Axminster. Beginning April 5,Terra-Grit will be immediately available and can be fully customized to fit each project.The collection is applicable for all commercial segments, including hospitality, marine and gaming. A preview of the collection will be available at Boutique Design West on April 5-6, 2017, booth #1047, at the Los Angeles Convention Center. Brintons Carpets is a market-leading supplier of woven carpets to the worldwide hospitality, marine, gaming, leisure, private and public sectors. Committed to the concept of thinking globally and acting locally, Brintons has design studios, offices and agents in all of the major markets around the world.